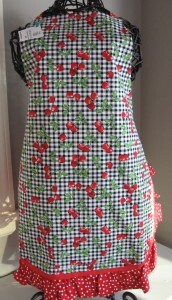 Curved hem with a ruffle that falls mid-thigh, traditional tie-behind neckline. 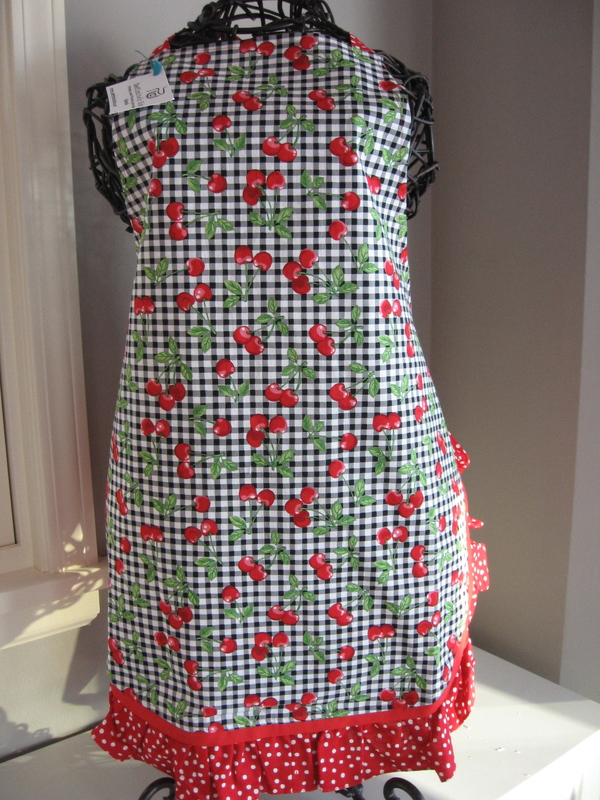 Fun and feminine without being too cute, it’s great style for all figures but particularily flatters petites. 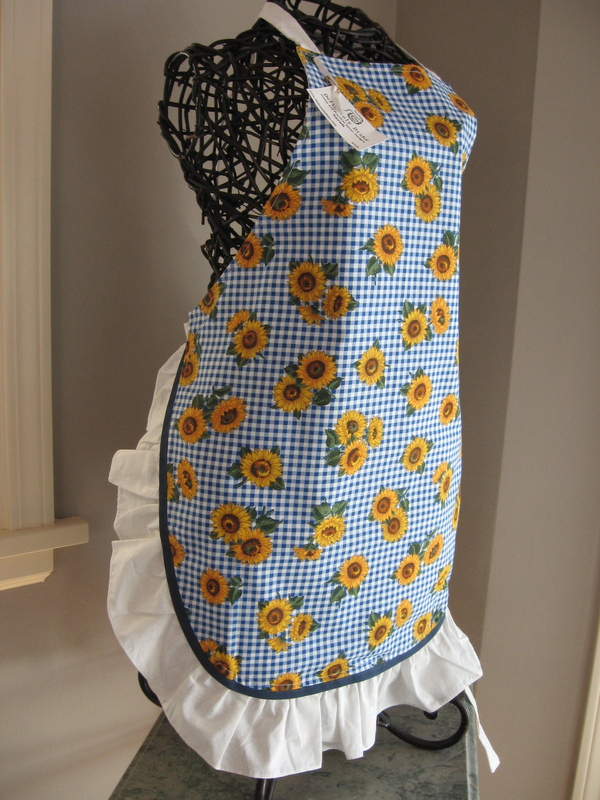 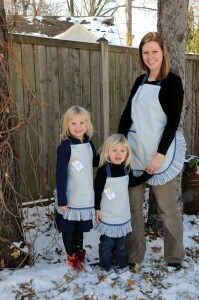 Our Grace children’s apron is an exact match for the Sarah adult apron.